If you have small children or pets and you do not already have a safety cover then you should consider investing in one. There is no price you can put on the safety of your family or pets, so safety pool covers are a great investment being strong and durable and capable of supporting up to 100kg in weight. By having a safety cover fitted to your pool you can leave your children and pets playing around in the garden without the worry that they might slip into the pool accidentally or fall through the swimming pool cover you currently have fitted which cannot support the weight of a child. More and more people are opting for one of these safety covers for piece of mind and because they are so easy to use. 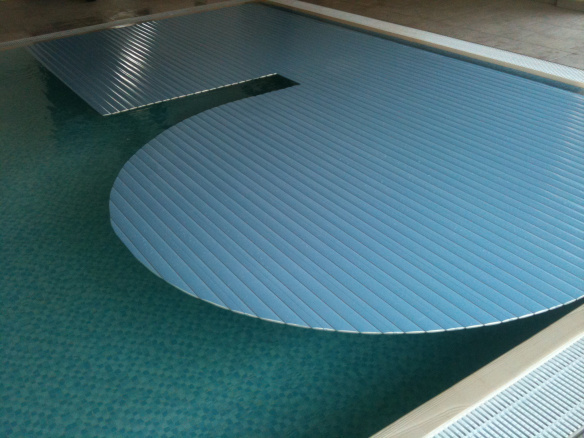 Safety covers are now available automatic and can be controlled by the turn of a key and can fit any shape pool whether it is rectangular, kidney shaped or freeform. They can be used on both indoor and outdoor pools and are great for use throughout the year. Not only do you get a cover that keeps your family safe, but for indoor pools, you have a cover that controls humidity by forming a tight seal around the pool. So a cover that not only provides you with safety for you and your family but also saves you on energy costs too-what are you waiting for? 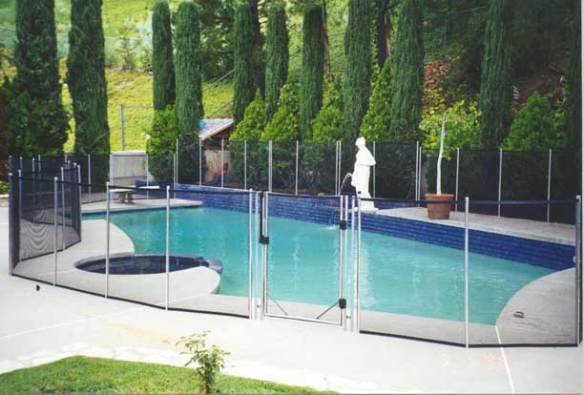 In certain places, safety fences are obligatory with precise height measurements, so this is an area you should become more familiar with as a pool owner. If you do not have height regulations in your area, do not fit a fence which is less than 1.5 metres in height, making it inaccessible by anyone who cannot use the child safety gate, Child safety gates should also be fitted to safety fences so the pool is only accessible by adults or older children. Once you have a safety fence in place, maintain it and make sure no defects occur around the fence at any time. Even though adult supervision is required at all times when your children and pets are within easy access of your swimming pool, we know it is impossible to know your child’s every move. There are now various different types of safety alarms on the market which can give you that little extra reassurance. On the very rare occasion that your child or pet does slip into your pool, a safety alarm will alert you of this so that you can react accordingly and get there in time. If you do opt for having a safety alarm fitted in your pool, ensure the system is working at all times and is checked on a regular basis. In France it is now a requirement to have a safety alarm or safety cover fitted on your swimming pool and it will not be long until the UK implement a similar law. Besides the obvious precautions you must take to ensure your swimming pool is safe for you, your children, and your pets, you must also make sure that the water quality is safe and that you will not come out with any nasty skin irritations. Make sure you become familiar with the water quality in your swimming pool, carrying out regular water tests every 2 to 3 days. pH levels as well as levels of chlorine and other chemicals should be monitored and added accordingly with regular shock treatments. If you are unsure what chemicals to add to your pool’s water and in what quantities it is best to seek professional help to ensure that you can protect your own health and the longevity of your swimming pool equipment. All chemicals should be stored and used safely so that they are not accessible by children and pets. Instructions for use and storage can be obtained through the manufacturer directly. If you have a swimming pool or are thinking of having once constructed, try to teach your children to swim as early as possible as it might just save their life one day if they do find themselves in the swimming pool unexpectedly. Your local sports centre will most probably run swimming lessons for young children and it will also give them a jumping start when they get older. 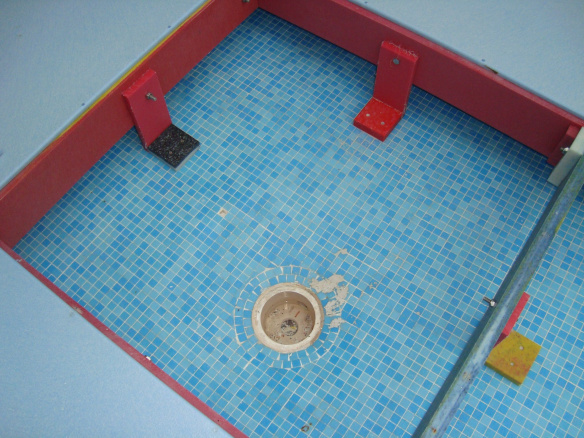 The swimming pool site should be kept clean at all times as the most common injuries sustained in swimming pools are cuts from glass that has broken next to the pool and fallen in as it is invisible once in the water. It is advisable to use plastic cups around the pool to avoid such injuries. Avoid your children from running on the pool side as much as you possibly can to avoid children from tripping over and injuring themselves or from falling into the pool. 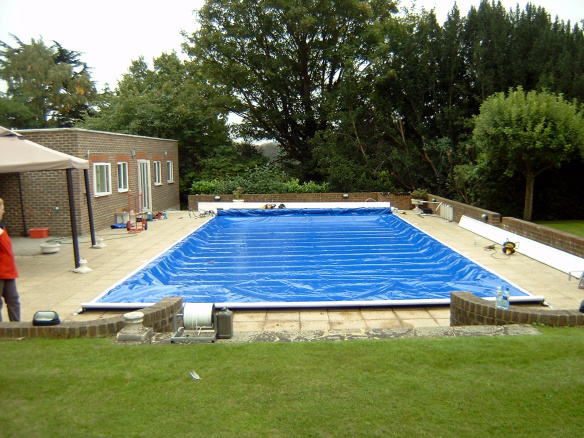 The pool side can also be covered with a non-slip surface to further prevent accidents from occurring. Objects should be kept clear from safety fences so that children and pets cannot climb over and because heavy objects can weaken the structure of the fence.